For a photographic paper that will not let you down, providing prints that are both glossy and professionally weighted, you need the Q-Connect White Glossy Photo Paper. 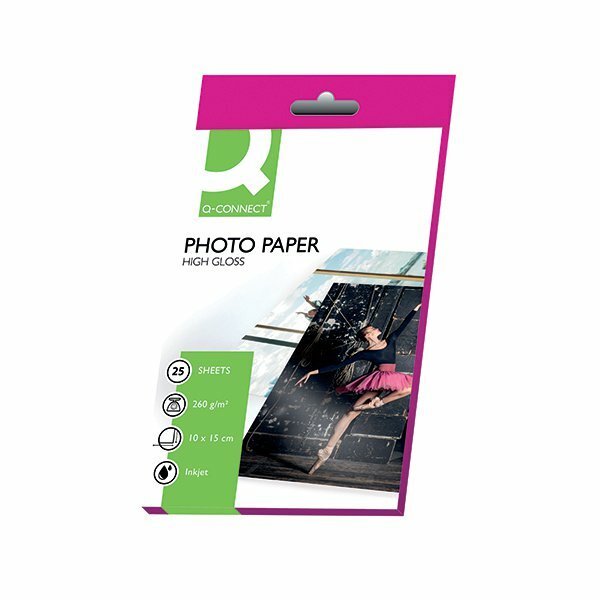 This paper is designed to get the best out of your digital photographs, giving them the same quality that you would expect from prints from a professional print specialist. The paper reduces the amount of ink that is bled, ensuring the resolution of your images and providing an image that is crisp and clear, every time.